When used as intended, the new Play Disney Parks app lets guests bypass wait times with interactive games that can change their surroundings inside a ride queue. The free iOS and Android app can be used at home or at Walt Disney World and Disneyland, allowing guests to answer trivia questions about termites while walking through Animal Kingdom’s zoo-like exhibits or quiz each other on Splash Mountain’s history when boarding a flight to Orlando. 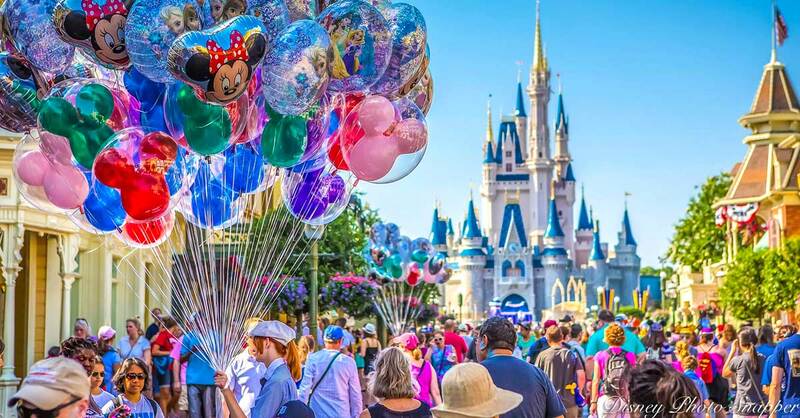 Inside the parks — and on four specific attractions — it shines, leveraging that oft-dreaded wait time into an experience that’ll make those breezing past near-envious. The App is also a way to provide kids with entertaining content while waiting in line and prevent them from wandering around and -potentially- get lost in the parks. With location-specific activities that playoff ride themes and queue spaces, Disney is striving to transform the most boring part of vacation into its own kind of entertainment. Do your best at virtual training missions while waiting for Space Mountain at Magic Kingdom and your spacecraft will battle others in real life, or dive deeper into Andy’s bedroom in unsuspecting ways while waiting for Toy Story Midway Mania. It’s not Disney’s first attempt enhancing guest experiences by having their surroundings do double-duty as real-life game boards. The Menehune Adventure Trail at Disney’s Aulani Resort leads guests to interacts with statues, waterfalls, artwork and other unsuspecting features of the Hawaiian property that magically come to life when activated, while Disney Cruise Line’s Dream and Fantasy ships offer three interactive games within the Midship Detective Agency. Mickey Mouse, Cruella de Vil, even The Muppets come to life throughout the ship’s corridors by way of slyly concealed screens projecting still images as “artwork” throughout the ship until gameplay kicks in. Clearly best when used inside parks, there’s still plenty to enjoy prior to leaving. Themed playlists in partnership with Apple Music cue up everything from “Beauty and the Beast” standards and the Star Tours’ theme to throwback tunes from old attractions, like Kitchen Kabaret and Universe of Energy. Part DJ, part trivia game, and part experiential enhancement, it’s an addition that can make your Disney vacation all the more fun!